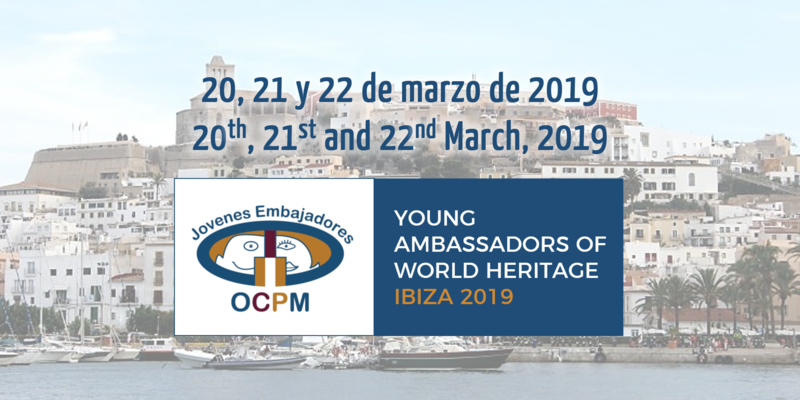 From March 20 to 22 took place the 2nd Encounter of Young Ambassadors of World Heritage in Ibiza (Spain). During this II Encounter, our ambassadors addressed the topic of our next World Congress to be celebrated in Krakow, next June: Heritage and tourism: local communities and visitors – a shared responsibility. Representatives from nine different cities were gathered in Ibiza: Aranjuez, Cidade Velha, Cordoba, Evora, Granada, Guimaräes, Ibiza, Segovia and Viena.